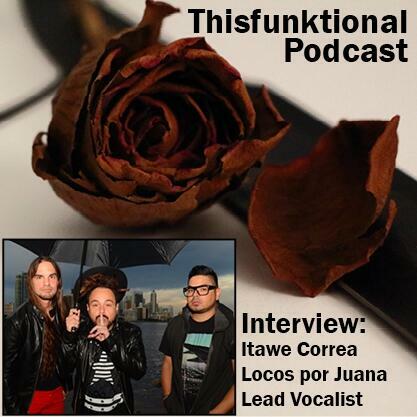 Jesus Figueroa, @Thisfunktional of thisfunktional.com, talks with Itawe Correa, lead vocalist for Locos por Juana. Correa talks about the positive good feel of their music, how e stays happy and more. Music on the podcast is a clip from Locos por Juana's single "Mueve, Mueve."